The reflections presented here are the offspring of the author's own silence and slow time in caves, forest monasteries and countless retreats. Those practicing meditation may find refreshment, joy and a challenge to apply their practice in daily life; others may find an observant and empathetic voice in these lines. 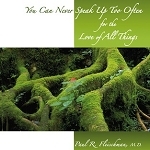 Available here in print, audiobook (Free), and PDF (Free). Checkout our complete eBook catalog here. I have gone through some of the poems of this book and all those poems are something to be felt, can't be explained in words. I love each word of this book. Simple but beautiful. The pages are filled with wisdom. 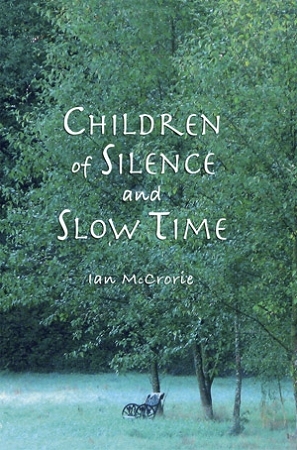 This is a book of poems that come at us from different directions reminding us that The Path is long and the impatient mind is often dissatisfied. It seems that a poem a day would be a good reminder, along with our daily sittings, that the cravings for progress and the aversions to situations in life and in our minds should be accepted with wisdom, and sometimes a smile at the paradoxes of life. There is the continual need to accept the reality as it is, then "start again, start again" as calmly as one can knowing that it will pass. What are called the five hindrances or the five enemies: craving and aversion, agitation and sloth & torpor, and ever-arising doubts. They arise not only in the purification of meditation, but also in integrating our practice and insights into everyday life. But that is just one side of the coin. The fact that hindrances are arising are symptoms that our efforts are working and purification is happening. If we were relaxed in front of a computer or TV, these symptoms would not arise. Be aware when these ambivalent paradoxes arise, and with right effort you will progress, Ian reminds us. When facing these "enemies," as Ian poetically says, "Shaking hands with the devil loosens his grip." try living in the forest. try living on the streets. try another, more pleasurable one. try moving in with your family. but the theatre is empty. Very few words, but a beautiful music that speaks to the heart. You read and you smile. It is so true, right to the point and joyful. Wonderful book-like a conversation with a treasured friend. 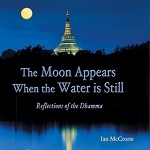 Reflections that resonate with Dhamma were refreshing and uplifting. I'll be placing another order for sure and checking out earlier works.